Houston Texans defensive end J.J. Watt is one of the best defensive players in the NFL. He’s also played with some amazingly talented players throughout his career. There’s no question that Watt knows a great football player when he sees one. Recently, one of Watt’s teammates quietly retired, and Watt claimed this teammate would one day end up in Canton. 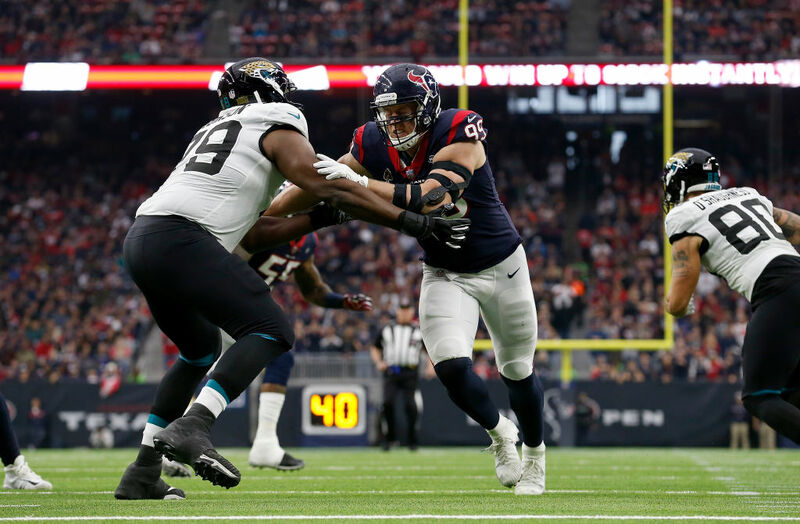 Let’s take a look at some of J.J. Watt’s notable teammates, and why he says one former teammate is a surefire Hall of Famer. Wide receiver Andre Johnson. Johnson finished his 14-year career with 1,062 receptions and 14,185 receiving yards. Defensive end Mario Williams. The former number one overall pick has been selected for four Pro Bowls. Wide receiver DeAndre Hopkins. In only his sixth season, Hopkins is still one of the best at his position. He caught 115 balls last season. Running back Arian Foster. In his second year in the league, Foster led the NFL in rushing with 1,616 yards. All of these players are or were great. Some may even go to the Hall of Fame one day, but none of them is the player Watt was referring to. Which Former Teammate does J.J. Watt think will be a surefire Hall of Famer? Watt was speaking about the former Raider and Texan punter Shane Lechler. Lechler joined the Texans in 2013 and last played for Houston in 2017 before retiring this offseason. Watt’s reference to a “gold jacket” in his tweet is a clear reference to the jacket players receive when entering the NFL Hall of Fame. It’s clear that Watt believes Lechler will one day be a Hall of Famer. He led the league in punting yardage four times. He had the season’s longest punt twice. Lechler led the league in yards per punt five times, and he’s the NFL’s all-time leader in that category. He missed only two games in his entire career. He only attempted seven extra points in his career — all during his rookie season — but he made all seven attempts. Under any metric by which you may want to measure a punter, Lechler qualifies as one of the all-time greats. His career longevity (13 years in Oakland, 5 in Houston) is a great example of that. Lechler’s case to make the Hall of Fame may be tough based on the position he plays. Punters are not usually considered for the Hall of Fame. In fact, only one punter, Ray Guy, has ever been selected for enshrinement. At first glance, this makes it look like Lechler is fighting an uphill battle. A closer look at Guy’s stats, however, seem to strengthen Lechler’s case. Lechler was selected for more Pro Bowls than Guy. He was also named an All-Pro more times than Guy. Lechker’s punting average was higher, and he also had a longer career. The bottom line is that Guy’s selection opened the door for punters to be considered as viable Hall of Fame candidates. Now that they are, it would only make sense that voters would consider punters who outperformed Guy. While Guy was a great player in his own right, Lechler’s accomplishments outweigh Guy’s. 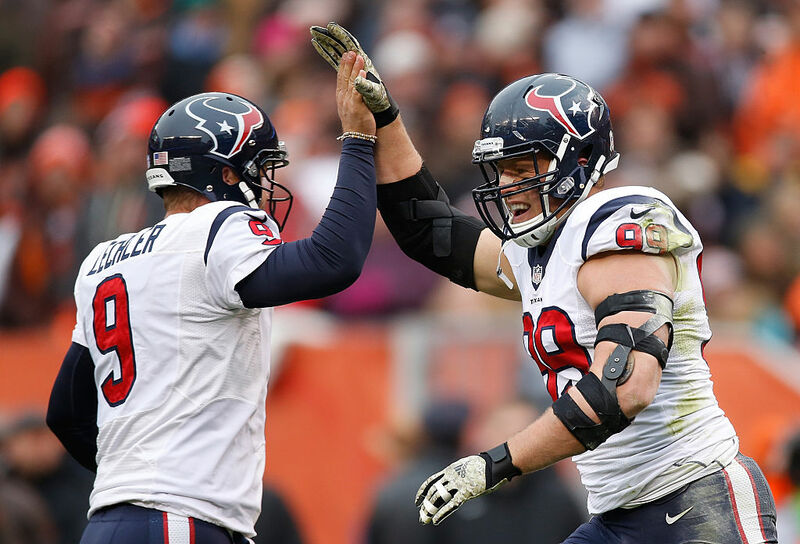 Prediction: J.J. Watt will be proven correct, and he and Lechler will get to celebrate Lechler’s Hall of Fame selection one day.